2019 is the 50th anniversary year of the moon landing, and what better way to celebrate than by joining Professor Astro Cat to explore the mysteries of space? Based on the popular children’s book Professor Astro Cat: Frontiers of Space by Dominic Walliman, children in rural areas of Cambridgeshire and Peterborough will be introduced to some of our favourite orchestra masterpieces, alongside listening games, new songs, and a chance to compose their own music, and conduct Britten Sinfonia players. Presented by Ruth Rosales and five members of Britten Sinfonia, this concert is aimed at 4-9 year olds, and accompanying adults. 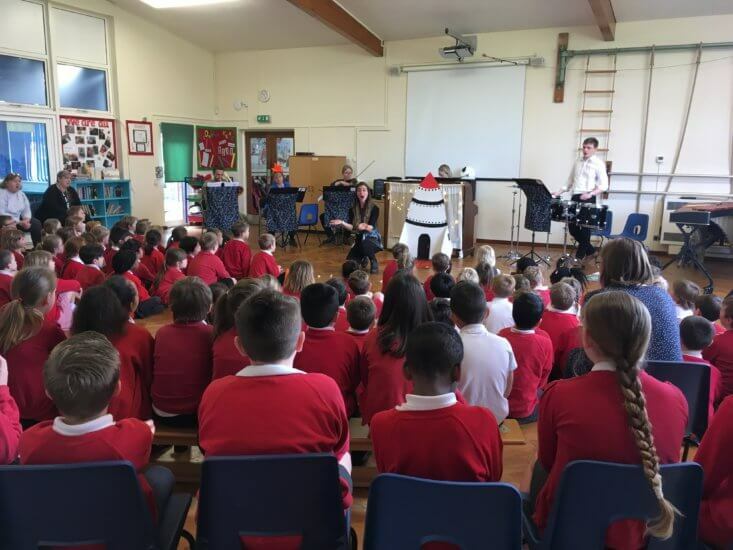 The performance is 45 minutes long and includes opportunities for the audience to composer their own piece in response to the story, play percussion, conduct members of the orchestra, learn about the planets, input creative ideas and sing some participation songs. Fauré’s Requiem favours serenity, joy and liberation over the dread and terror employed by most composers in settings of the Mass of the Dead. This project will focus on Britten Sinfonia Academy’s programme for their performance in Britten Sinfonia’s award-winning concert series ‘At Lunch’, including the first rehearsals of the Academy’s new commission from Josephine Stephenson. A thrilling Viola Concerto featuring one of today’s foremost violists, Lawrence Power, plus a short but inventive symphony all brought together with a jubilant and joyous close. Britten Sinfonia make a return to Brighton Festival with a concert reprising the first year of their critically acclaimed Beethoven Symphony Cycle with renowned composer and conductor Thomas Adès.